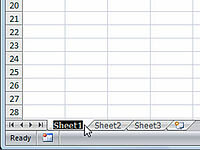 The sheet names that Excel 2007 uses for the tabs in a workbook (Sheet1 through Sheet3) are not very descriptive. Luckily, you can easily rename a worksheet tab to whatever helps you remember what you put on the worksheet, provided that this descriptive name is no longer than 31 characters. 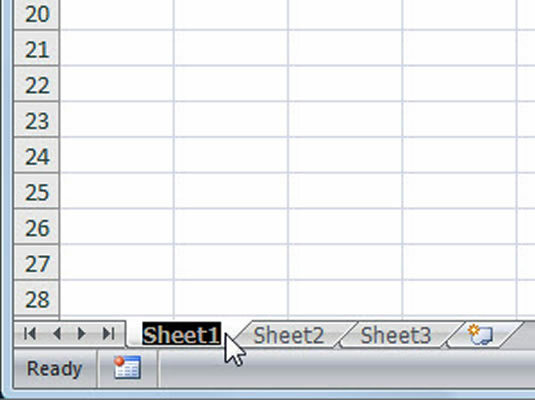 1Double-click the sheet tab you want to rename. You also can right-click the sheet tab and then click Rename on its shortcut menu. The current name on the sheet tab appears selected. 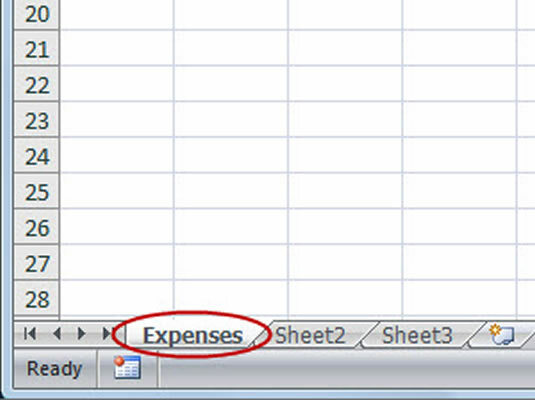 2Replace the current name on the sheet tab by typing a new sheet name. When you begin typing a new name, the previous name disappears. 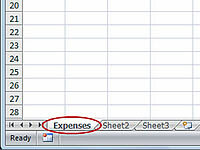 Excel displays the new sheet name on its tab at the bottom of the workbook window.